Do you want to become a famous fashion designer in the world of magic? Meet your new virtual friend, Little Princess. Make your own clothes and prepare your princess for the ball. 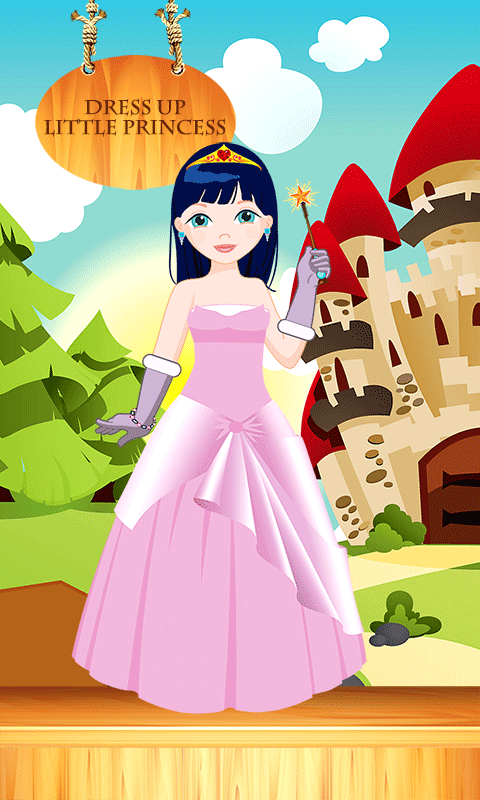 Take a part in this free dress designer game and come to a trip through this amazing fairytale. 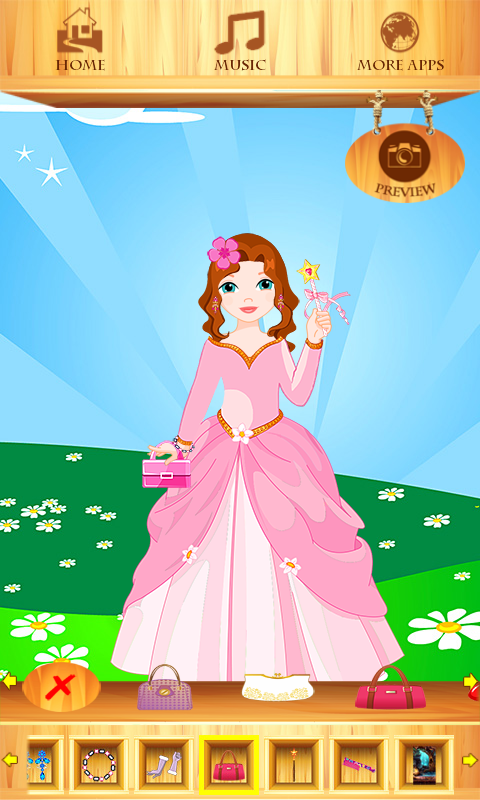 Download for free Dress Up Little Princess game app and start the best fashion story. Do you know what is happening in our kingdom? The king is preparing the big ball party in the honor of his son. Everyone is invited to his birthday celebration. Come and try to create a luxurious style for your Little Princess girl. She just left makeup studio, and you need to choose the perfect fancy dress ball. You can be her Fashion Fairy Godmother , and help her to be a new fashion icon in the kingdom. Choose among plenty clothes and learn Little Princess how to dress well and to be the most elegant at the party. Take your princess to glamorous fashion salon and make her happy and pretty. Open virtual fashion closet on your smartphone and find few top categories. â€¢	Category with amazing little princess dresses â€¢	Category with haircuts, crowns and flowers for hair â€¢	Categories which contain jewellery, like necklace, earrings and bracelets. â€¢	Go on and find next sections with gloves, bags, shoes â€¢	And set of great backgrounds This top fashion design game brings you in the world of princess, magic, wizards, royal gardens and beautiful castles. Feel the real magic and use your imagination in this popular fashion contest. Be the owner of the best fashion design boutique in the kingdom and create awesome girl dresses.Try this new real fashion designer game app for free and get into the latest dress up challenge. Little Princess wardrobe is full of top and luxurious clothes, like dresses, shoes, bags, just use your magic wand and be the winner of this cool dress up content. Create and combine your set of beautiful dresses and prepare Little Princess for her first fashion show, and help her to make own style. After creating the perfect royal outfit, you can take a photo of your lovely Little Princess. Also, you can choose among a variety of beautiful backgrounds. Let her look so glamorous and worthy of kids red carpet, fashion runway and glory fashion magazines. Spend a lot of time in our magic kingdom and feel this amazing fashion challenge. This is the game for girls and for anyone who dreams about fairy tales, living in a castle, about princess. 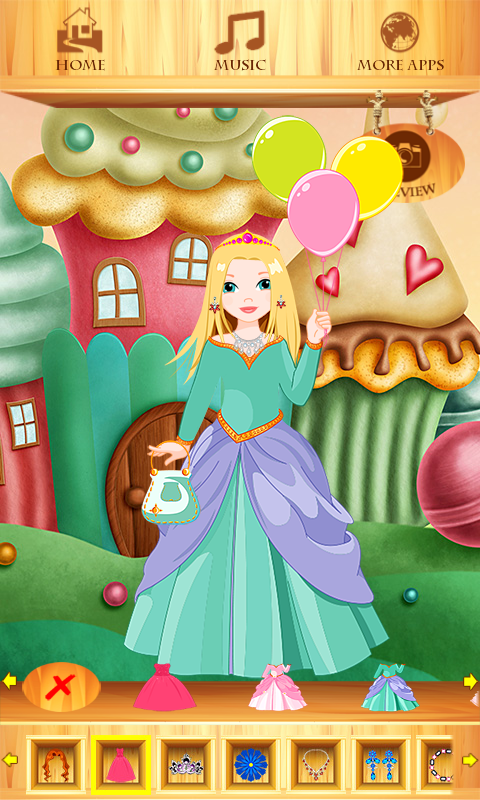 Experience this cool dress up games for kids and enjoy this fantastic fairytale, and donâ€™t forget, make a lot of fun. At the end you can: â€¢	Save your model, take a photo and show to your friends.